A member of the National FFA Organization is being celebrated today at a White House event for students who excel in science. 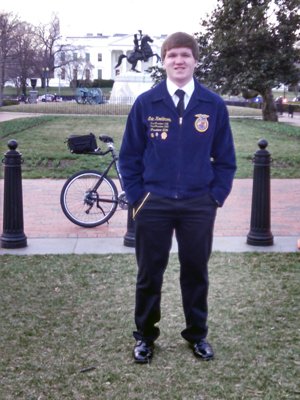 Eric Koehlmoos, 18, of Iowa, is a member of the South O’Brien FFA Chapter in Paulina, Iowa. He was invited to the 2015 White House Science Fair that celebrates the accomplishments of student winners of a broad range of science, technology, engineering and math (STEM) competitions throughout the United States. More than 100 of the nation’s brightest young minds will be welcomed to the fifth White House Science fair. In the past, innovative inventions, discoveries and science projects have been showcased. 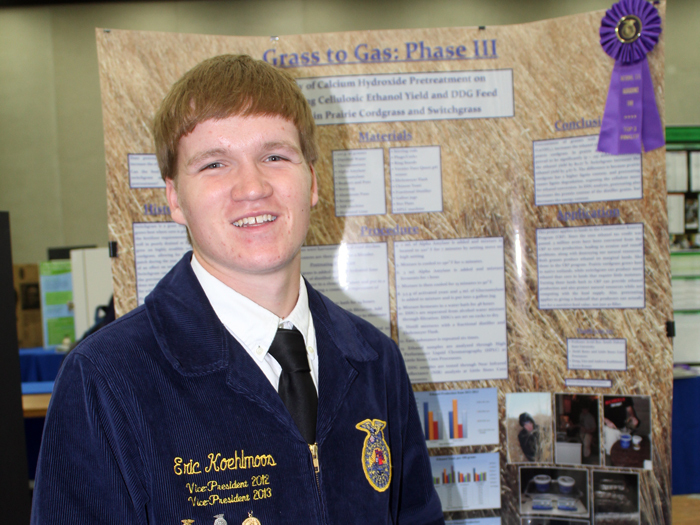 Koehlmoos won first place in his category and division, Power, Structural and Technical Systems, at the 2014 National FFA Agriscience Fair, an annual competition sponsored by Cargill, Bayer CropScience, John Deere, PotashCorp and Syngenta as a special project of the National FFA Foundation, during the National FFA Convention & Expo. The fair features the research and results of FFA members who plan on pursuing careers in the science and technology of agriculture. This accomplishment earned him the special White House invite. The White House Science Fair will be webcast live and highlights of today’s event can be followed on Twitter: #WHScienceFair.